The first major piece of architecture seen when coming from Beverly Hills to West Hollywood, the West Hollywood EDITION stands as a gateway to the famed Sunset Boulevard. 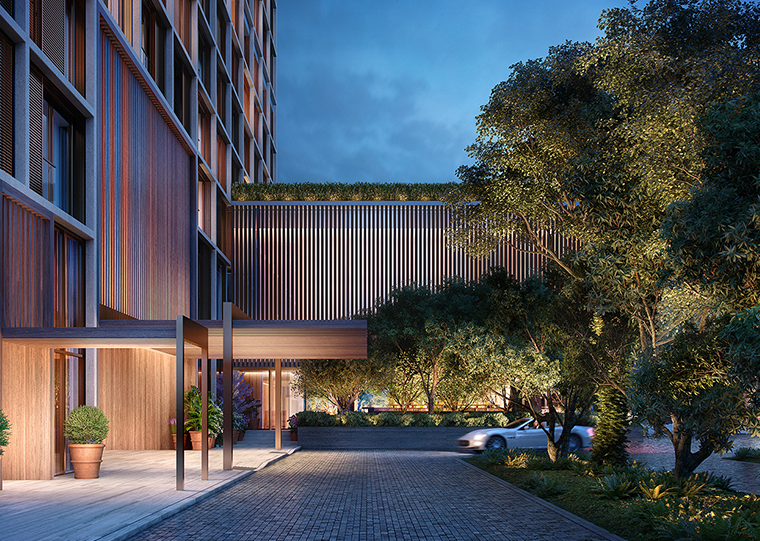 A blend of luxury hotel and condominium residences, the EDITION will offer a new way of experiencing West Hollywood. Guests and residents will enjoy a lifestyle anchored in world-class design, premium finishes, and unmatched amenities. The high-rise structure will feature panoramic views of West Hollywood, the broader Los Angeles area, and the ocean. 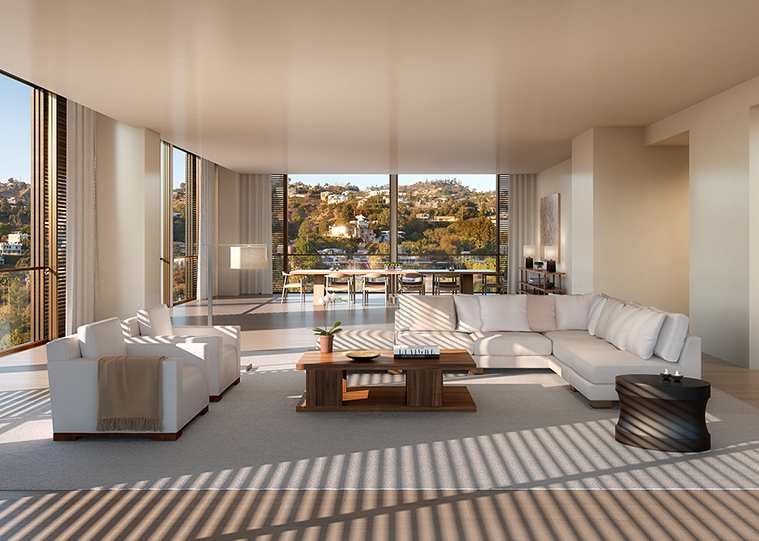 The EDITION’s verticality, mix of services, and enviable location will create a decidedly urban feeling, with the hustle and bustle of West Hollywood on the doorstep and a residential respite inside. Through the help of our talented partners, the West Hollywood EDITION will stand out while fitting into—and celebrating—Southern California. Breaking the mold for Los Angeles living, the EDITION is destined to become an iconic destination. 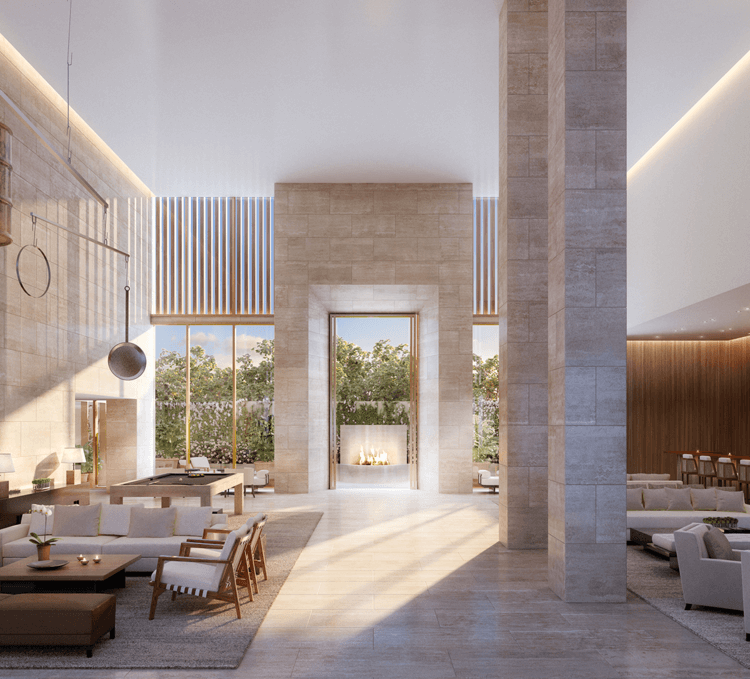 While the high-rise form of the building and luxury condominium amenities may be new to West Hollywood, the experience of the EDITION—the look, the feel, and the ways people interact in the spaces—will be quintessentially Californian. Inspired by the surrounding landscape, the EDITION’s design will take every opportunity to offer natural light and lush outdoor spaces. The simple, minimalist approach focuses on purity of form and materials, with careful consideration for how they will interact with California’s golden sunlight. By day, guests and residents will enjoy the warm sunshine streaming through floor-to-ceiling windows. Or they can step outside for incredible views. They will be able to work out in the fitness center, then grab a light bite with friends in the restaurant. Guests and residents will be able to take in the sunset from their balcony, then take a stroll down Sunset. Attend a film premiere in our screening room or host a film event themselves. If they feel like a nightcap or a night swim, the rooftop pools and bar will be waiting for them. And when adventure calls, they can take on the LA nightlife at the club downstairs. 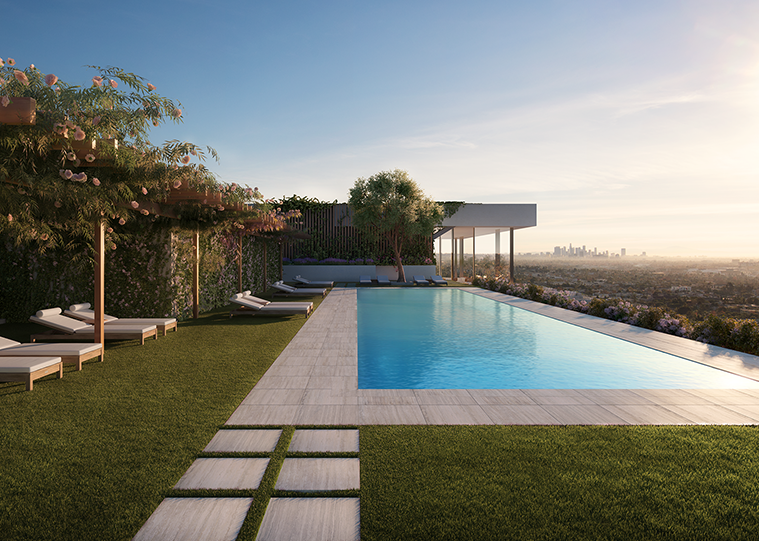 More than simply a place to live or stay, this will be a way of living—West Hollywood’s newest gathering place. Since 1939, HKS has provided its clients with comprehensive architectural services including conceptual and schematic design, design development and construction documentation, assisting with contractor bidding and/or negotiating, and construction contract administration. The firm is a combination of artists and tacticians, imagining, coordinating, and creating some of the world’s most iconic places. HKS strives to combine their global reach with a tremendous local touch through effectively navigating local regulatory approval processes, from platting subdivisions to zoning and permitting. The firm also handles issues of site analysis, access, circulation, parking, urban design, local development guidelines, and placemaking. Since 1963, Pankow has benefited clients through creative problem-solving, engineering expertise, and construction innovation. Pioneers of design-build and integrated project delivery, Pankow provides design-build, design-assist, general contracting, and tenant improvement services. Pankow specializes in complex projects and work in occupied facilities on a diverse range of markets and building types. Pankow adds value to project teams with its expertise in design management, LEED design and construction, Building Information Modeling and Lean Construction practices, as well as its commitment to quality, zero incidents, and exceptional client service. Pankow has over half a century of continuous presence in Los Angeles, Pasadena, San Francisco, Oakland, and Honolulu. Notably, Pankow was the contractor on the Montage Hotel and Residences in Beverly Hills, which is the top competitive project.